Reading is an integral life skill. Students reading at a level below their typical peers struggle to find books that are readable at their level, but will also be interesting. High interest, low reading level (hi-lo) books offer simple sentence structures and an easy vocabulary base paired with storylines that will interest older children. Children ages 8-11 should have mastered basic reading skills, but may be reading at a variety of levels. Beginning reader books may feel immature to this age group. Newborn baby Billy accidentally ingests some of Captain Underpants' drained powers, making Billy a new kind of superhero. He must use his powers to stop the villains, save Captain Underpants, and restore order in the world. The entire story is the creation of Captain Underpants characters, George and Harold, in response to a punishment essay they are forced to write. 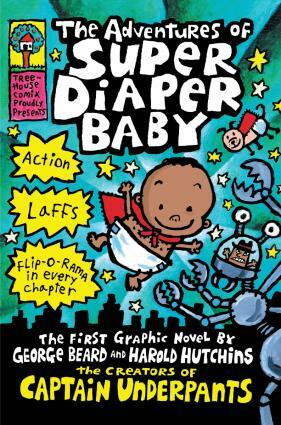 From the renowned author/illustrator Dave Pilkey of the graphic novel series, Captain Underpants, this series features hero Super Diaper Baby. While banned in some schools, the humor, poop talk, and creativity in this series have high appeal for kids. There are currently two books in the series, both rated at a grade 2.4 reading level. The second book is called The Invasion of the Potty Snatchers. When Joe receives a blue book as a birthday present from his magician uncle, he must learn to harness its powers. "The Book," as it is called, takes Joe and friends, Same and Fred, on adventures through time and space. In each adventure, the boys must find "The Book" in their current time period to return home. The trio faces challenges and triumphs as they learn to use the book's magic. Author Jon Scieszka showcases humor and creativity in this 16-book series that was also adapted into a television show. The series covers historical people and events ranging from King Arthur to Marco Polo. The illustrated series is set at a grade three reading level with an interest level for grades 3-6. 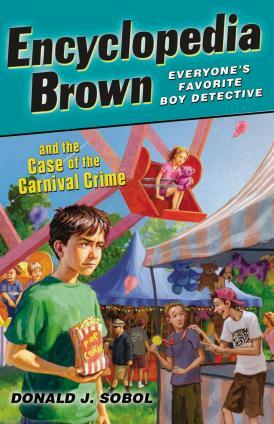 Leroy Brown is a boy detective who makes it simple for readers to try cracking cases right along with him. With his trivia skills and personal detective agency, Encyclopedia Brown helps neighbor kids and local police solve town mysteries. The series, by Donald J. Sobol, starts out with Encyclopedia Brown, Boy Detective and includes nearly 30 titles of mystery fun. No book in the series requires prior knowledge of others, so readers can start with any book that seems interesting and each book is at or under 100 pages taking away the intimidation factor that thicker chapter books might have. The books range in reading level from 2.5-4.9. Super Sleuth, The Case of the Soccer Scheme, and The Case of the Carnival Crime are rated at the lowest levels. Mystery is a high-interest area for many elementary school children, especially boys. Friends Jen and Keisha believe they know who is responsible for poisoning the horses at Shady Acres. In their search for proof, they find more trouble. Author Liz Brown offers Misty Knows as a hi-lo book with female protagonists to appeal to the mystery-loving girls of the world. Rated at a grade 2.7 level, this story contains elements of interest to girls in grades 3-6 such as friendship and horses. There is also a teacher's guide available for purchase to help school personnel better use the book with struggling readers. Children have a tendency to enjoy reading about characters the same age or older than the reader. When supporting lower leveled readers, it is important to choose books with characters in the appropriate age range to appeal to middle-grade students. French orphan Hugo lives at a train station and spends all of his extra time trying to get a tiny little robot that used to be his father's to operate and move. When his life becomes entangled with other eccentric people, Hugo's secrets are at risk. 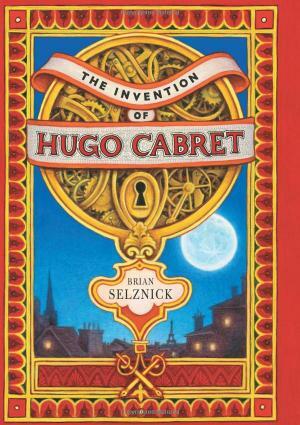 If you know a kid who enjoys graphic novels or comics, hand him Brian Selznick's Caldecott Award-winning, The Invention of Hugo Cabret. Although the plot may not sound like much, Selznick's brilliant illustrations make the book come alive and seem to shorten its length. With a grade level equivalent of 5, this long book is still easy to read. The wisdom of legendary wizard, Merlin, is presented in this interactive book of knowledge. Instead of simply reading pages of text, kids can go through picture galleries, pull tabs built into the books, and look at attached booklets, objects, and maps. Wizardology is part of a small series of books with an interactive bent. The book is only 32 pages and looks exciting, which might help it draw in especially reluctant readers. Other titles in the series include Egyptology, Pirateology, Dragonology, and Monsterology. New kid in town, Jamie Grimm doesn't let anything get in the way of his dreams to be the best stand-up comic in the universe. The series follows Jamie as he moves up in the competition called, "The Planet's Funniest Kid Comic." The humorous tones of the series and relatable life experiences will make readers feel like they are having fun, not doing work. After his parents die, Jeffrey Magee moves in with an aunt and uncle. Miserable in this new place, Jeffrey runs away. Upon finding a small town to make his home, Jeffrey earns the name "Maniac" thanks to his athletic skills. He is an incredibly gifted athlete who bridges racial tensions in his town through sports and his captivating personality. Maniac Magee by Jerry Spinelli is on the thick side at close to 200 pages, but the fast-paced story draws in readers from the start. This classic novel won a Newbury medal in 1991. Rated at a grade level equivalent of 5.4 this classic tale is easy to read while also tapping into critical thinking skills. A simple fall by sixth-grader Raina results in some serious dental injuries. The story chronicles the trials of triumphs of Raina as she navigates through middle school life with braces, headgear, boys, and broken friendships. Every middle school girl who has ever felt self-conscious about her looks will enjoy the New York Times best-selling memoir, Smile, by Raina Telgemeier. Recommended by Scholastic, this 224-page graphic novel is rated at a 4.3-grade reading level that kids up through 7th grade can relate to. As a bonus Smile is followed up by a companion novel, Sisters, where readers follow Raina's journey toward a better relationship with her little sister. Finding hi-lo books for this age group might be easier than you think. The Scholastic Book Wizard is a great online tool that allows you to search any book title to find the reading level equivalent and interest level. Jeremy tries to balance the pursuit of his dream (to be a rock star) with the challenges of high school. As his band gains success, Jeremy must make difficult decisions about what is important in his life. Written at a 2.7-grade level equivalent, Thunderbowl by Lesley Choyce will captivate reluctant readers in grades 9-12. The fast-paced plot in combination with a relatable main character makes this a top choice. HIP Books publishes this title, and many more, specifically for reluctant readers. Sixteen-year-old Katniss volunteers for the annual Hunger Games to save her little sister - who was randomly selected. In the games, children must fight to the death to become the sole winner for that year's games. Katniss navigates the emotional struggles associated with such cruel survival games. Catching Fire is the second book in the series and follows the journey of Katniss as she seeks to put an end to the hunger games. The final book in the series is Mockingjay. 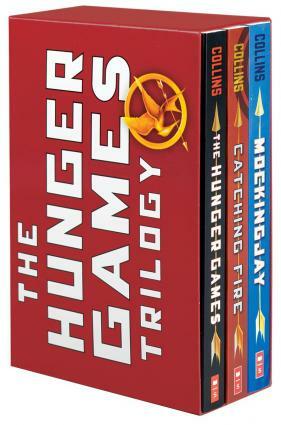 The Hunger Games trilogy is currently a popular movie franchise, but the books are equally exciting. It may come as a surprise, but School Corps suggests this series on their list of hi-lo books. Author Suzanne Collins gives older readers a captivating tale written at a grade level equivalent to 5.3. The first book in the series is titled The Hunger Games. Best friends Carmen, Tibby, Lena, and Bridget find a magical pair of jeans that perfectly fits each of them. The series follows the personal and group journey of the girls as they embark on different summer adventures. The magical pants help each girl in the way she needs most. Author Ann Brashares writes this exciting coming-of-age series for teen girls. All four books in the series are rated at a 6.2-grade level equivalency. Three boys are dared to sleep overnight in the local haunted house. All the mysterious sounds lead to the exciting conclusion that the ghosts are real. Ghost House by Paul Kropp is a bestseller from High Interest Publishing (HIP Books). This mystery thriller is rated at a 3.2 grade level with an interest level for grades 4-10. Reading opens a child's creativity, enhances an understanding of the world, and is a necessary skill for success in life. Pairing easy-to-read text with exciting, age-appropriate content can help reluctant readers gain confidence.